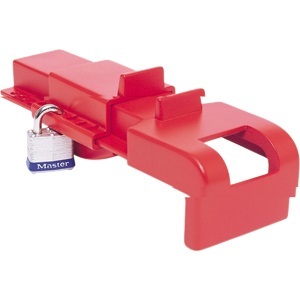 Padlock locked shackle max diameter 10mm. 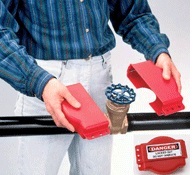 Made from durable plastic and are fully de-electric. 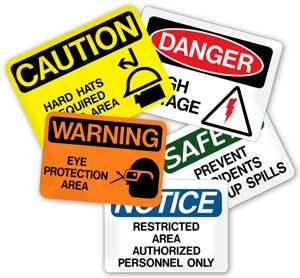 They are also highly resistant to many solvents and other chemical products. 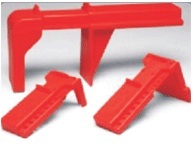 The easy to use design is available in three different sizes to best fit your application. Available in 3 sizes in red color. 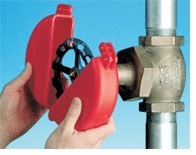 Butterfly valve lockout is made of fully de-electric polypropylene plastic which resists solvents and other chemicals making it useful in extreme weather and temperature conditions. 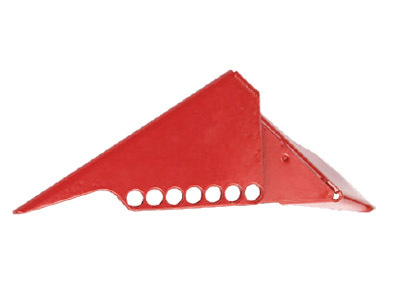 It is highly resistant to cracking and abrasion. Available in single universal size. 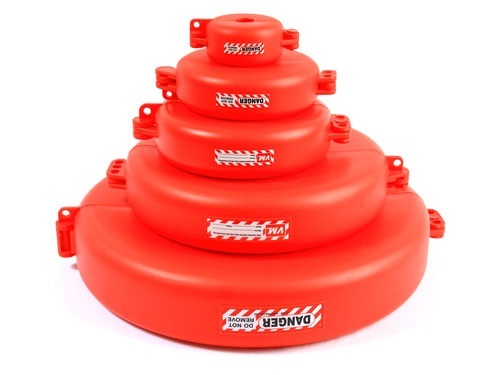 Made of injection-molded polyurathane plastic, our gate valve lockouts are extremely rugged for superior impact and chemical resistance. They can easily withstand extreme weather temperatures. Available in 5 sizes in red color. 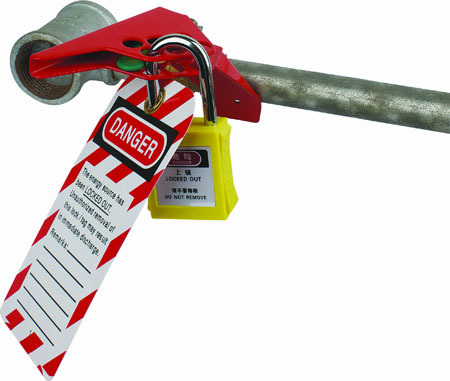 Adjustable gate Valve Lockout eliminates the need to buy three or more gate valve lockout devices by adjusting to fit multiple size gates. 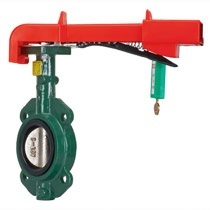 The unique design of adjustable gate valve lockout ensures that the gate valve is completely enclosed, for greater worker safety and tamper prevention. The durable, non-conductive polypropylene construction resists cracking and abrasion. 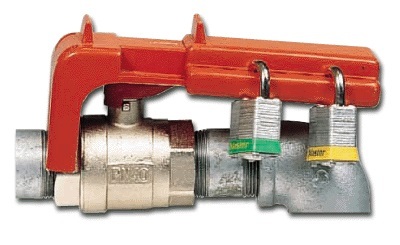 The adjustable gate valve lockout locks out valves from 25mm to 165mm. 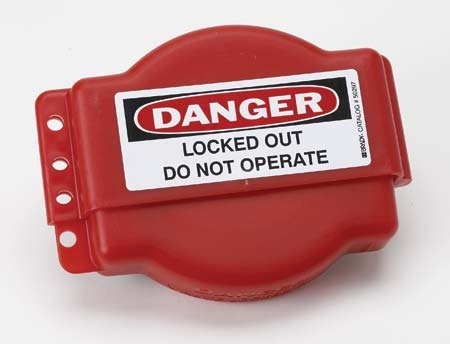 The adjustable gate valve lockout has instructions imprinted on the side for a safe, effective lockout every time and comes with a danger label.